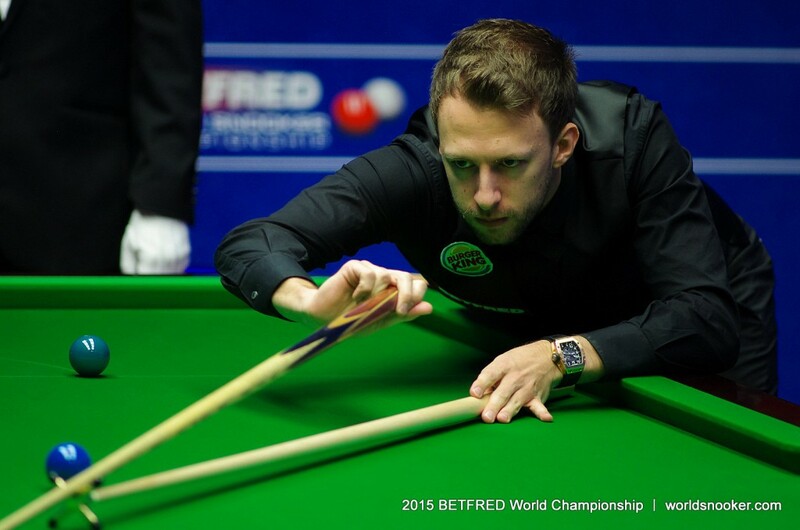 Judd Trump reached the semi-finals of the Betfred World Championship for the third time with a tremendous 13-4 victory over Ding Junhui. A close battle was expected between snooker’s best two players under the age of 30, but it was Bristol’s Trump who won emphatically, outplaying his Chinese opponent in all departments. World number six Trump led 12-4 after the first two sessions, knocking in breaks of 54, 82, 94, 108, 76, 102, 55, 127 and 111. And the left-hander needed just ten minutes today to complete the result with a run of 66. Trump has enjoyed the most consistent season of his career so far, winning the Australian Goldfields Open and World Grand Prix as well as reaching three other finals. He looks to have hit top form in Sheffield and is determined to go one better than 2011 when he finished runner-up to John Higgins. He meets Ronnie O’Sullivan or Stuart Bingham next. “I played some good stuff,” said 25-year-old Trump, who beat Ding in the semi-finals in 2011. “I felt ill before the game so I wasn’t sure what my concentration would be like. I’ve had a cold so I need to rest up now and I should be fine for tomorrow. Ding said before the match that he was going to beat me and that gave me extra momentum to dig in and try my absolute best. “I shut him out and put a lot of pressure on him from the start. If I continue to play like this I won’t get beaten, but to keep up the same level for another five days would be extremely hard. This tournament is all about consistency – you can play well in your first three matches but then lose in the semis. I’ve got to keep doing it, and if I can do that for the whole tournament I’ll take a lot of pride from it.